UNEMPLOYMENT figures in Lisburn fell as it saw local workers facing unemployment in up to four factories in January 1958. The Lambeg Weaving Company factory closed its doors, while the Burnhouse laid off 20 staff. 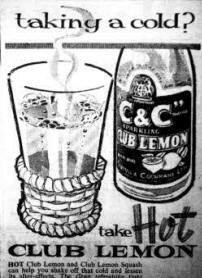 There was a similar position with RFD (NI) Factory in Dunmurry and Short Brothers and Harland at Altona and Maghaberry where ten men were dismissed. However, there was a bright spot in the horizon as Gracey Bros in Hillhall took on 25 workers. GRAHAM Gardens was ear-marked as a possible site for a multi storey car park in Lisburn by the Lisburn Chamber of Commerce in 1985. The Chamber intended to put pressure onto the DoE and give new information to the National Car Parks ie that half he 1300 car parking spaces currently available in Lisburn were temporary. The Chamber also wanted to meet with the DoE over an idea of purchasing the former Housing Executive property in Castle Street which could be used as an entrance for a car ark in Castle Gardens. 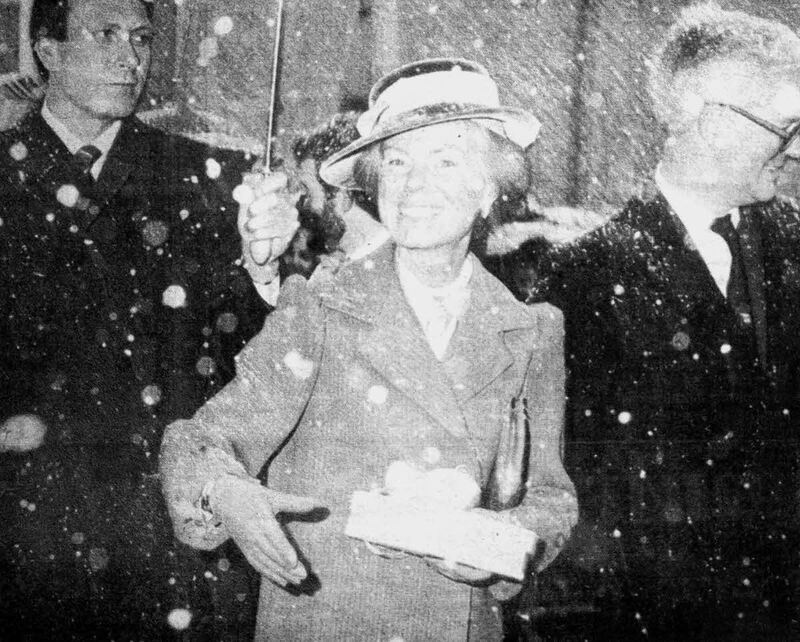 There was a wintery welcome for the Duchess of Kent when she visited Lisburn In January, 1985. THE vandalising of Northern Ireland Housing Executive garages in Maralin Avenue and Drumbeg Drive in 1985, was strongly condemned by Lisburn councillor Ivan Davis. Mr Davis was also critical of the Executive for allowing the garages to deteriorate into such dangerous conditions. "By letting the garages stay in their present condition the Executive is encouraging vandals to gather in the vicinity" said Mr Davis. Mr Davis said it was totally unacceptable to ask, residents, particularly senior citizens, to put up with the situation. He also described the depositing of rubbish at Maralin Avenue as a 'disgrace' and wanted to know who was carrying out the dumping. Mr Davis also mentioned the boarding up of a pensioner's bungalow at Maralin Avenue which was empty for several months. "I can fully understand the anger and frustration on the people in the area," he said. A local resident urged the Executive and DoE to "get to grips with the problems". IN 1985 firms in Lisburn were told they were eligible for a slice of the £9,000,000 new package of aid schemes which was announced by Industry Minister Mr. Rhodes Boyson. This was confirmed by Lisburn Economic Development Association Chief Executive Mr. Harry Anderson. "Obviously aid will be available to firms in the borough. We will help to make sure they do not miss out," he commented. The LEDO was available at the Town Hall in Lisburn and was able to provide relevant information to prospective applicants. Mr. Anderson, in fact, attended the launch of the package, with £7 million coming from the European Regional Development Fund and another £2 million 'out of the Government's own pocket'. Dr. Boyson, in fact, mentioned that Lisburn high tech company Circuit Systems and Designs Ltd., had won a competition with their electrical power monitoring systems. Circuit Systems had been assisted by a similar funding scheme. The Minister explained that the package was made up of three elements, better business services, helping small and medium-sized firms to make use of professional consultancy expertise; innovation support services, encouraging new technology and local enterprise measures, which deal with economic development initiatives. Mr. Boyson pointed out that firms employing less than 200, the range where most of Lisburn companies were to be found, accounted for 96 percent of all manufacturing concerns and employed almost half of those engaged in manufacturing. Mr Boyson commented: "In the last decade the number of firms employing less than 200 increased by 20 percent with a more marked increase in firms employing up to 25 which increased by almost 36 percent. THIEVES struck in 1966 at a new electrical business in Bow Street. Six television sets and transistor radios worth around £500 were stolen. The robbery was discovered when premises of the Manchester and Midland Electrical NI Ltd was opened for business one Thursday morning. The TV's were in an upstairs room while the radios were in a front shop window. 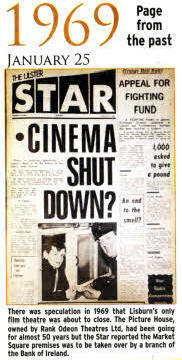 IN March 1972 a coal strike had just ended which had crippled the whole country and power almost everywhere was back to normal again but predictions were that it would be several weeks before coal was plentiful again. Coal in Lisburn was still in short supply though. At Fred Turkington's customers were given some coal but they were never without coal and at Stanley Cordon's customers were just delighted to get any coal and they took what they were given. Another merchant however said that some customers began to panic in the first week but the elderly were given first preference.